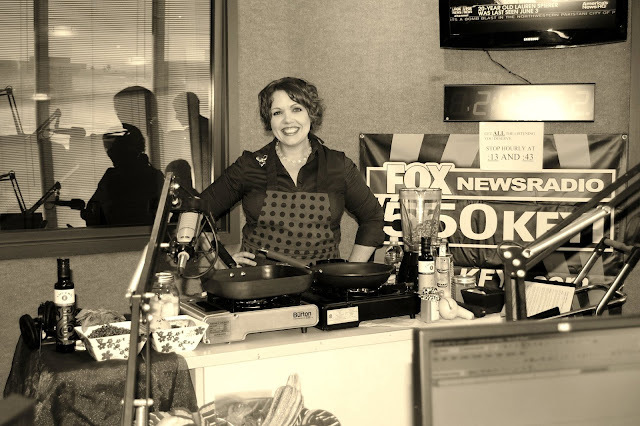 Chef Tess Bakeresse: In The Kitchen with Jan D'Atri! Jan D'Atri What's not to love about Jan?! 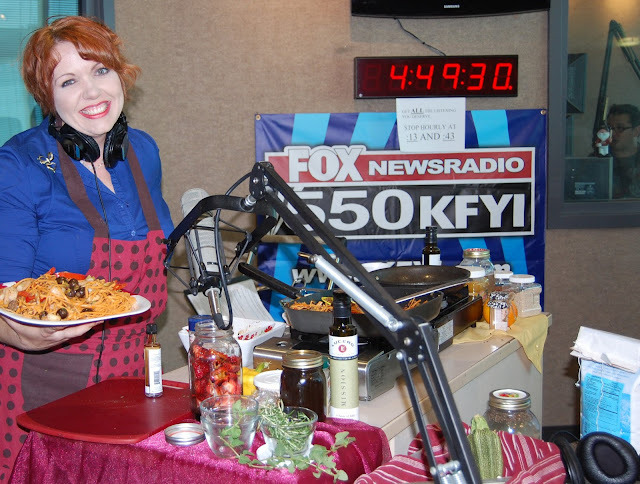 She's my friend and AZ's go-to girl for great cooking ideas! Every week I have been on the Radio Show with Jan' D'Atri for a few minutes or sometimes the whole show as an in-studio guest has been amazing! I'm just gonna be honest and tell you that it is the honor of a lifetime!! It's Easter In the Kitchen! Hour 2 of Saturday, March 2. Chef Tess cooking up a remarkable dessert. In the Kitchen goes vegan! Chef Tess cooking up some Seitan and a killer Vegan dish for Dave Cherry! 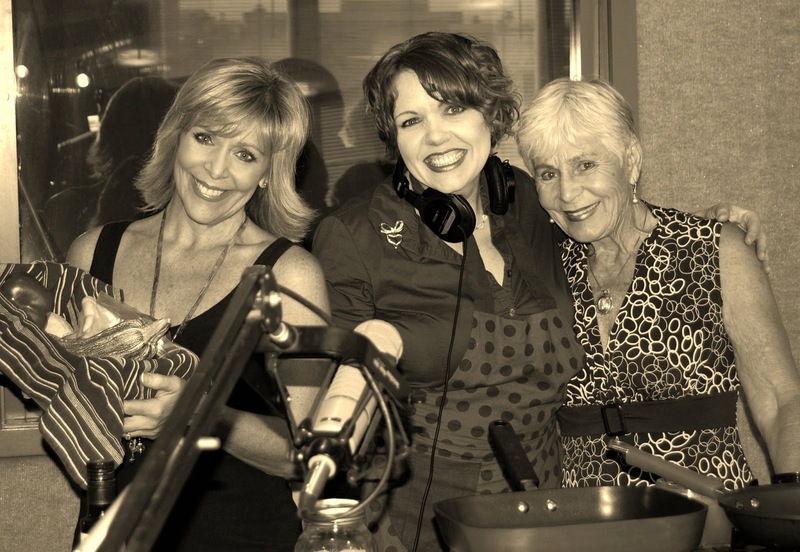 Jan and Momma invite Chef Tess from Honeyville into the studio and talk to Chef Jimmy and Jan's niece Gina. This is the first show I ever did with Jan! Seriously, has it really been 2 years?!! Jan continues with Chef Tess and Bonnie! She also shares a pasta recipe from Brig Arnold's cookbook "Dinner with Warriors." Jan has Chef Tess in the kitchen today making pancakes and sharing recipes! She also has Bonnie from The Secret Village in the kitchen! Season the roast on all sides by sprinkling 2 teaspoons of salt and 2 teaspoons pepper over the entire roast. Sautee diced onion in a little oil until golden brown and set aside. Heat a Dutch oven on high heat and add oil. When oil is hot, place roast in pot and cook until browned on all sides. Add beef broth, cola, garlic, sautéed onion, rosemary and remaining teaspoon of salt. Bring to boil, stirring to release browned bits. Add tomato paste and stir. For crock-pot cooking method, transfer meat and juices to crock-pot and cook on high for about 4-5 hours (or until fork tender) or cook overnight in crock-pot on low heat. For oven method, cover Dutch oven and cook at 325 degrees in the oven for 3 1/2 hours. Liquid should be at least 1/3 of the way up the roast. Add more beef broth if necessary. To make gravy: Remove roast from pot and keep warm. Pour beef liquid through a strainer to catch onion bits, mash through and then discard remaining onions. In a bowl, add 1/2-cup hot beef liquid to 2 tablespoons of flour. Whisk to combine eliminating lumps. Slowly whisk mixture into the remaining liquid on the pot. Whisk frequently until mixture comes to a boil. Cook for another 5 minutes or until sauce thickens. Serve roast with hot gravy.